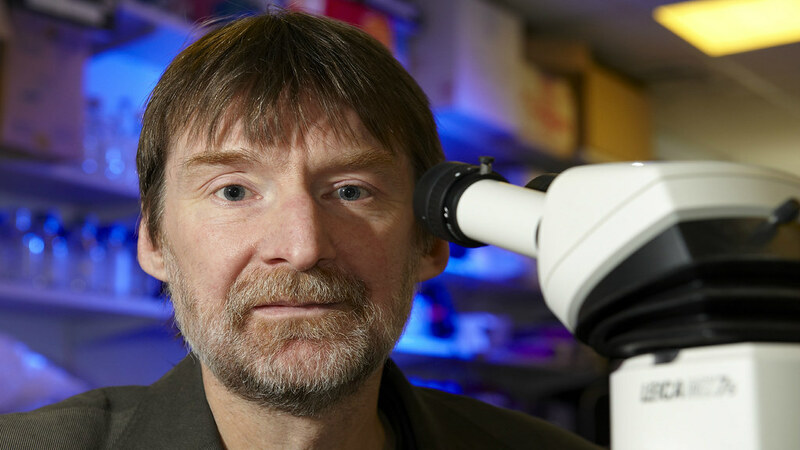 Professor Andrew Ward, is one of the 174-strong global taskforce of scientists contributing to this study. A global taskforce of 174 scientists from leading research centres across 28 countries, including 'Cancer Research at Bath' (CR@B), studied the link between mixtures of commonly encountered chemicals and the development of cancer. The study selected 85 chemicals not considered carcinogenic to humans and found 50 supported key cancer-related mechanisms at exposures found in the environment today. Professor of Molecular Genetics, Andrew Ward from our Department of Biology and Biochemistry, who contributed in the area of cancer epigenetics and the environment, said: "A review on this scale, looking at environmental chemicals from the perspective of all the major hallmarks of cancer, is unprecedented." Cancer Biologist Dr Hemad Yasaei from Brunel University London contributed his knowledge regarding genes and molecular changes during cancer development. He said: "This research backs up the idea that chemicals not considered harmful by themselves are combining and accumulating in our bodies to trigger cancer and might lie behind the global cancer epidemic we are witnessing. We urgently need to focus more resources to research the effect of low dose exposure to mixtures of chemicals in the food we eat, air we breathe and water we drink." Professor Francis Martin from Lancaster University who contributed to an examination of how such typical environmental exposures influence dysfunctional metabolism in cancer endorsed this view. He said: "Despite a rising incidence of many cancers, far too little research has been invested into examining the pivotal role of environmental causative agents. This worldwide team of researchers refocuses our attention on this under-researched area." The research has been published today (Tuesday 23 June) in a special series of Oxford University Publishing’s “Carcinogenesis” journal. William Goodson III, a senior scientist at the California Pacific Medical Center in San Francisco and lead author of the synthesis said: "Since so many chemicals that are unavoidable in the environment can produce low dose effects that are directly related to carcinogenesis, the way we've been testing chemicals (one at a time) is really quite out of date. Every day we are exposed to an environmental 'chemical soup', so we need testing that evaluates the effects of our ongoing exposure to these chemical mixtures."